HEMPSTEAD, Long Island (WABC) -- A town on Long Island is urging residents to be on the lookout for thieves posing as utility workers. Officials in Hempstead say several suspects have been posing as water department workers to gain entry to homes and rob them. At least three recent burglaries have been attributed to the scam. 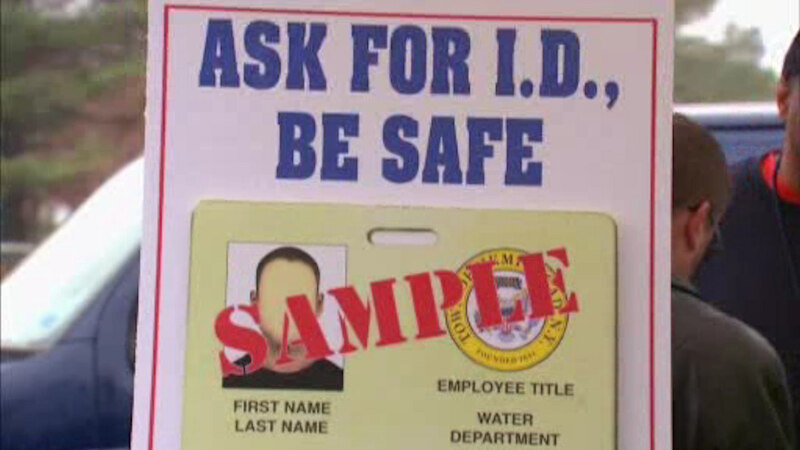 Police say you shouldn't open your door to someone you don't recognize, contact the utility if a worker shows up unexpectedly to verify the job, and look for a photo ID with a badge number before letting them in.